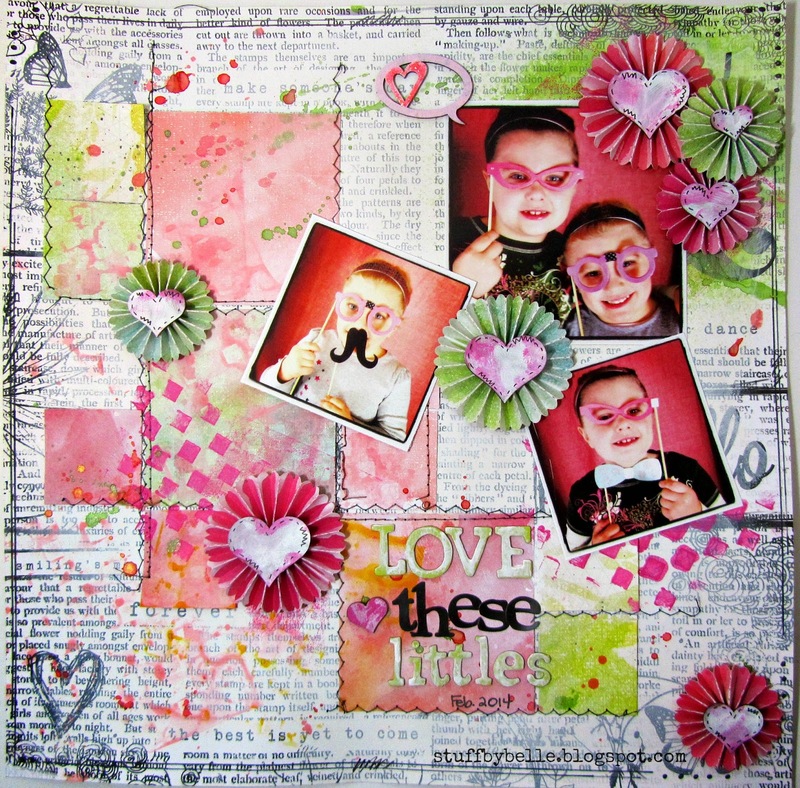 We are using Studio Calico Lemon Lush collection which you can find at the Cuttin' and Stampin' facebook store. I did a lot of background layering with paper, gesso, distress paint and mists. The paper was cut into squares and sewn on to the base with my sewing machine. I painted gesso to mute the colors slightly and applied paint with a mask. Here is the finished layout. I struggled with how to embellish my layout for a while and then it hit me...ROSETTES!! 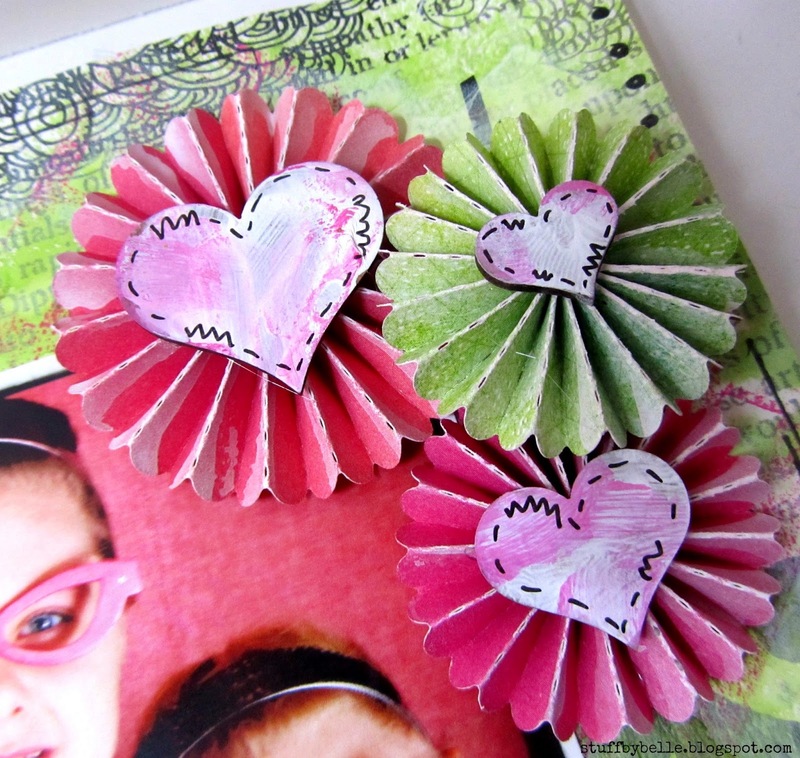 The rosette centers are UmWow Studio chip, layered hearts, that I covered in gesso and distress paint. I doodled on them when they were dry. I love this technique for altering this chip!! I added plenty of mist splatters after I had everything adhered. I love how it pulls all of the colors together. 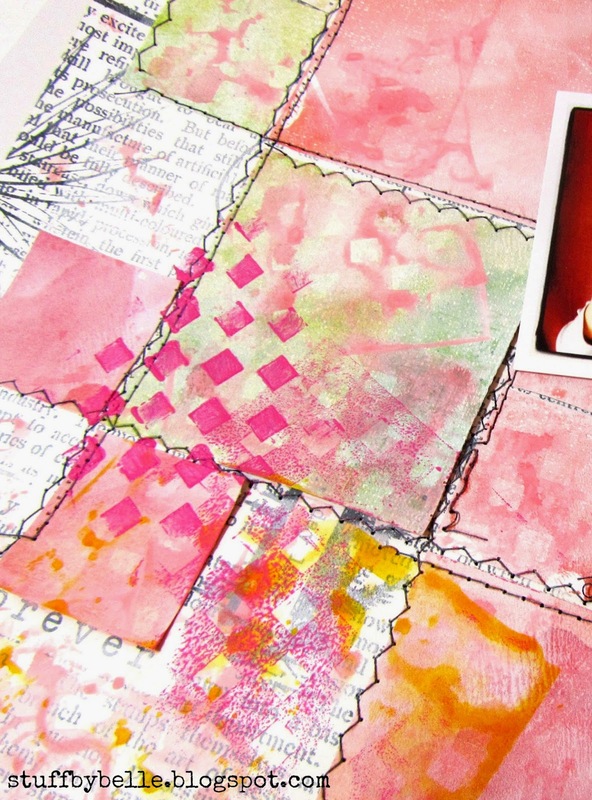 You still have a couple of days to get your project with some kind of paper quilting linked up on our challenge blog. I can't wait to see what you create! This is such a cute layout! I love all of the color and the rosettes are perfect! 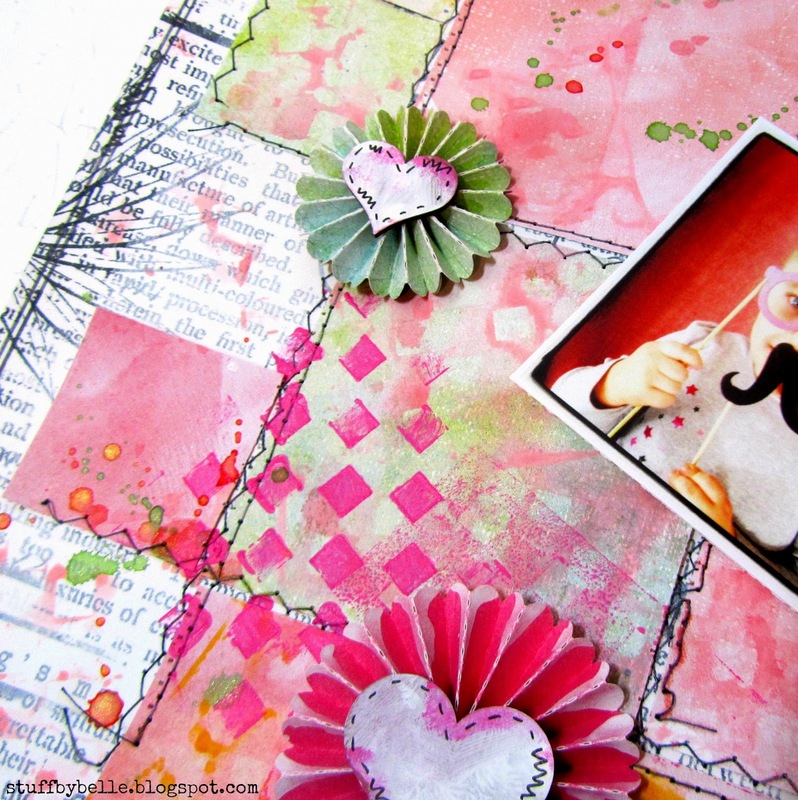 Seriously cute layout! I love the base you made for it and the pictures are just perfect!